Software testing is a key component in software quality assurance; it typically involves generating test data that exercises all instructions and tested conditions in a program and, due to its complexity, can consume as much as 50% of overall software development budget. Some evolutionary computing techniques have been successfully applied to automate the process of test data generation but no existing techniques exploit variable interdependencies in the process of test data generation, even though several studies from the software testing literature suggest that the variables examined in the branching conditions of real life programs are often interdependent on each other, for example, if (x == y), etc. 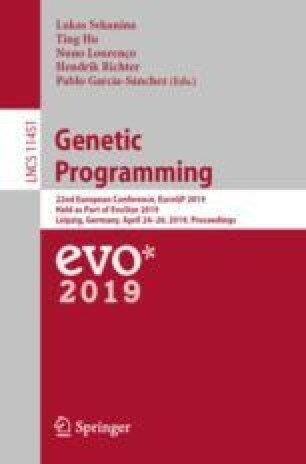 We propose the Ariadne system which uses Grammatical Evolution (GE) and a simple Attribute Grammar to exploit the variable interdependencies in the process of test data generation. Our results show that Ariadne dramatically improves both effectiveness and efficiency when compared with existing techniques based upon well-established criteria, attaining coverage (the standard software testing success metric for these sorts of problems) of 100% on all benchmarks with far fewer program evaluations (often between a third and a tenth of other systems). The authors would like to thank Muhammad Hamad Khan for his help with the graphic designs. This work is supported by Lero, the Irish Software Research Centre, and the Science Foundation of Ireland.